As a new interpretation of classic design chairs, the chair Neu13 by Hay takes the characteristics of several design icons and puts them in a contemporary context. 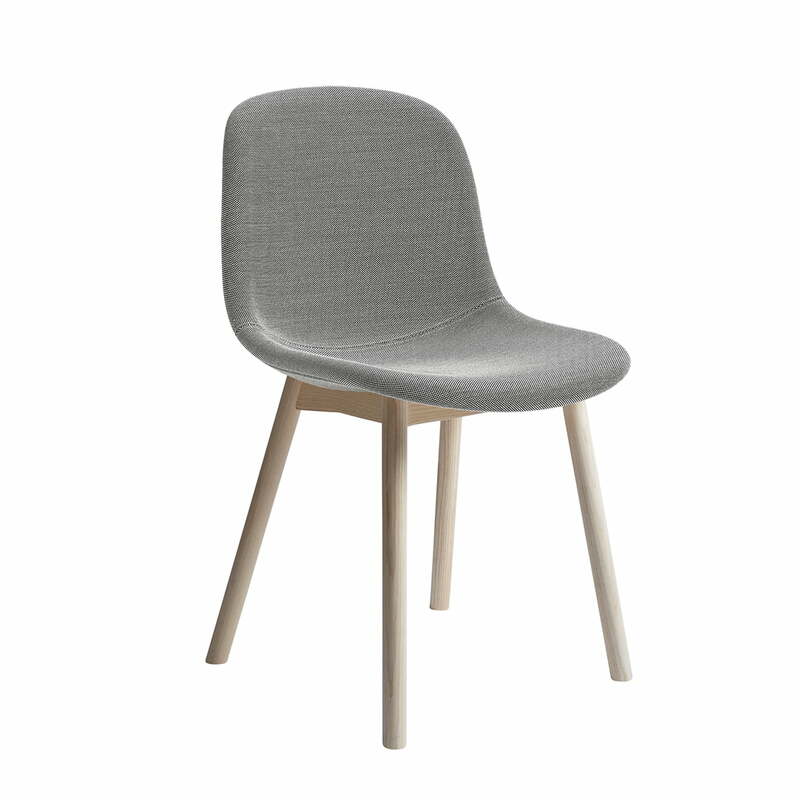 The Neu13 chair delights with the accomplished mixture of the materials ash wood and the elegant upholstery with Kvadrat fabric that gives the chair a special seating comfort. Sebastian Wrong and his design team put the ergonomic features in the centre during the development of the Neu13 chair. 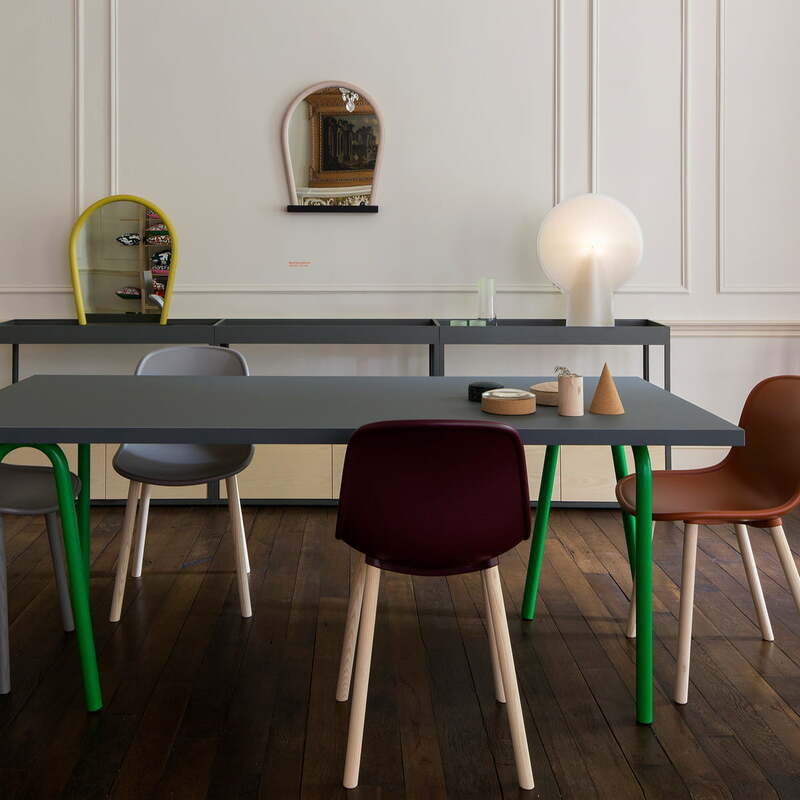 That is one reason the chair reminds you of the Plastic Chairs by Charles and Ray Eames. The chair's plastic sitting shell is aligned with the body and provides a comfortable seating even after hours of sitting. Hay makes the Neu13 chair with a frame of solid, soaped ash wood. The classic chair is also available with a sitting shell without upholstery, with bent steel tube legs or a cast swivel base. The chair also comes in various colours and fabrics of the danish manufacturer Kvadrat.